Nestled centrally between New York City and Philadelphia in the heart of Bound Brook, New Jersey, Queens Gate gives you the royal living experience without sacrificing ideal location. Enjoy premium shopping and dining close to home at Bridgewater Commons shopping center just 11 minutes away. Nearby the New Jersey Transit Train, easy access to public transportation allows you to get where you need to go quickly and easily. Take a sunday picnic to nearby Washington Valley East Park, and visit Somerset County Gardens to experience the rich beauty of the Garden State close to home. Get a taste of culture and history at Brook Arts Center and Grape Expectations. Sports fans will love Somerset Patriots Baseball Fields only four minutes away. 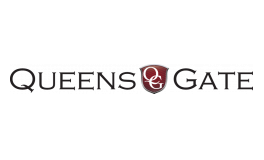 With ShopRite grocery store just across the street and a location steeped in rich history and diverse culture, Queens Gate is sure to give you the ultimate living experience. Visit our ideally located apartments to take a tour today.